Do you experience serious jaw pain and chronic headaches? Do you hear a clicking sound when you move your jaw, or experience jaw discomfort when eating? If yes, you may be interested in TMJ therapy. The letters in TMJ stand for temporomandibular joints. These joints are the lower joints that connect your jawbone to your skull. You use these joints every time you open and close your mouth, and if these joints become overused, it can result in a TMD, or temporomandibular disorder. TMDs are very painful and difficult to bear. 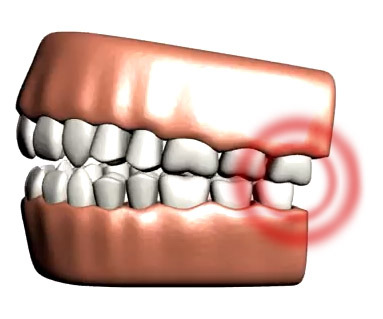 Patients suffering from a TMD find it hard to enjoy day-to-day activities, because of the discomfort that TMDs cause. If you are a TMD sufferer, you may be relieved to know that TMDs are completely treatable. With TMJ therapy from your Wurtzel Family team, you can feel comfortable again. Our TMJ treatment offers full TMD relief and healing. Any patient who suspects they may be suffering from a temporomandibular disorder can come into our office for diagnosis and evaluation. Each diagnosis and evaluation plays a vital role in the treatment of temporomandibular discomfort. At Wurtzel Family Dentistry, we care about each patient individually and genuinely want each patient to receive the best possible care. Each TMJ treatment is personalized and tailored to meet each patient’s unique dental needs. We treat TMJ disorders by treating the problem at its source. During our diagnosis, we’ll determine the cause of your TMD and develop a plan that will treat the cause directly. By targeting the cause directly, we can help your TMJ heal and alleviate all of your TMD symptoms at once instead of individually. To find out more about our TMJ therapy, call us at our office today.